Bitcoin is a cryptocurrency, i.e a form of electronic cash. It is the world's first decentralized digital currency, meaning it is designed to work without a central bank or any regulation and it can be transfered from person to person. Here are things to know about Bitcoins: . 1. First Bitcoin was first issued in 2009 by someone with a pseudo name Satoshi Nakamoto. Who is also believed to be the founder. 4. The first real-world transaction on Bitcoin was carried out on 22 May 2010 when Laszlo Hanyecz bought two pizzas in Jacksonville, Florida for 10,000 Bitcoins. 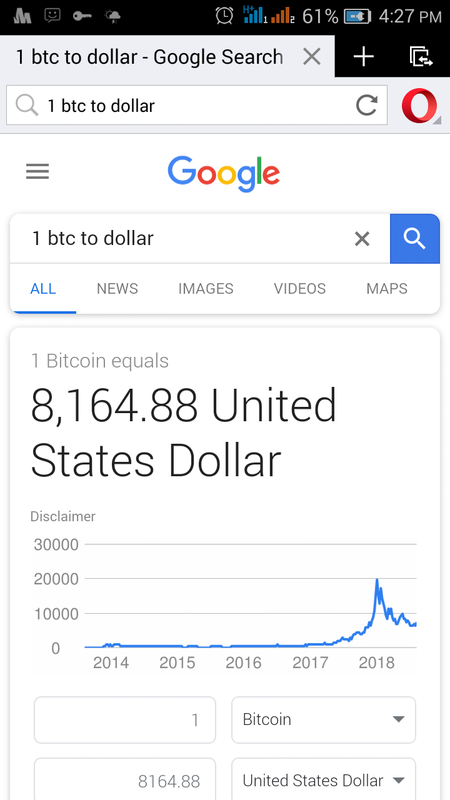 In five days, the price grew 900%, rising from$0.008 to $0.08 for 1 bitcoin. 6. How do individuals get bitcoins? ii. Sell product or offer services in exchange for bitcoins or to be paid using bitcoins. iii. Mining (i.e running a software to find bitcoin) just like mining gold. 7. How do people profit from bitcoin? i. Invest or trade i.e you can buy and hold to sell at a later time for profit or do short term trading. ii. Offer discounts to people who are willing to pay using bitcoins. E.g if my phone cost #10,000 in the market, I can decide to sell it for #5000 (worth in bitcoins) if you are willing to pay me in bitcoins. So just convert the #5k to bitcoins and transfer it to me. 8. Certain amount of Bitcoins will be released every ten minutes and total bitcoins that will ever be issued is 21,000,000 which will last till year 2140. 9. 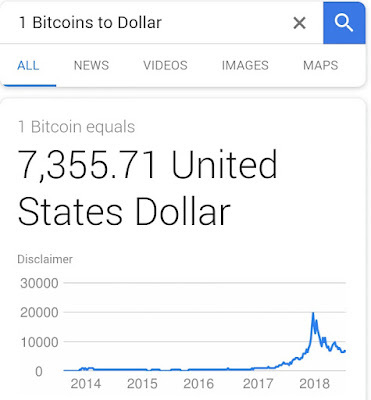 Just like Fiat currency e.g Dollar and Naira, Bitcoin is not backed by anything tangible. It increases in value by the trust people place on it. The more people try to invest on it, the more it value soar. 10. 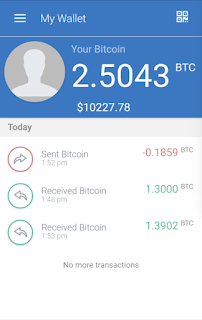 Individual bitcoins are stored in app called Wallets. Examples are Coinbase, My Ether Wallet, Paxful, Mycellium etc. 27 to 32 Alphanumeric (alphabet and number) character. So u give this key to anyone who wish to send you coins. ii. Private key- Password to access ur bitcoin account. 12. As at 18/07/2018, Mastercard has won the patent to link cryptocurrency with fiat accounts meaning as a user, you would have two linked accounts with your bank — one for your fiat wealth, and one for cryptocurrency. 13. All the bitcoins transactions are stored in a public ledger called Block Chain where everyone has access to it since 2009. 14. Apart from Bitcoins, other crypto - currencies has emerged such as Etherium, Litecoins, Dash, Doshcoin, Nubit etc. 16. Examples of big companies that accept Bitcoins are Microsoft, Paypal, Shopify, Wordpress, Reddit, Namecheap, Wikipedia, Badoo and so on. 18. The truth is that you dont have to spend money before making bitcoin, you can spend your time and get it converted to money, infact there is a forum for Bitcoin participants i.e Bitcointalk.org with over 2 million users where people join various bounties and earn token for their services. i. political or government intervention. For example China has many times banned bitcoins because of the threat it poses to thier currency. ii. Bugs or software hack. There have been many recorded cases of some wallets apps been hacked thereby leading to consumers losing all their monies. So I will advice you only use Coinbase or My Ether Wallet. iii. Protocols that can lead to panick or lack of trust. 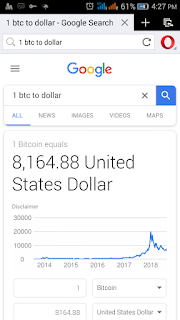 Though Bitcoin is still an experiment, but the biggest question is - "will it be widely accepted as a means of payment and store of value like Gold?" Well I will advice you not to wait until its too late. You can message me personally and I will expose you on how you can make #45,000 to #90,000 per month without spending. Whats in it for me? Well apart from the traffic I drive to my blog and the fact that I can't mine all the bitcoins that ever exist, I believe my post will be a source of inspiration to others who never knew of Bitcoins. - If you want to purchase bitcoins, I will advice you invest with money you can afford to lose. Cause value of bitcoins continually rise but no one can tell if it will fall.